The immediate reaction to the election was a 545-point jump in the Dow, and long-term rates on the edge of upward breakout. The widespread assumption: Democrats did not do as well as hoped/feared, not a wave but a ripple. The Republican gain in the Senate takes power from their moderates, and a pro-business administration is secure. (Footnote: Republicans think the Democrats did better than the Democrats think, the GOP worried about 2020. The Electoral College reflects the House, not the Senate). Order was restored in the asylum yesterday by the Fed. It will increase the cost of money from 2.25% to 2.50% on December 19, and markets assume another .25% every 90 days next year to at least 3.00%. The stock market is easily excited by good economic news, and later considers consequences. We have one of the best economies in 50 years, which draws the unwelcome attention of the Fed. Better to cool it than to have the Fed ice it. Thus stocks have given up most of their gains. Long-term rates have fallen back also: the 10-year T-note touched 3.24% on Thursday, back to 3.19% today. Mortgage rates are a different story: they have not retreated, lowest-fee quotes now close to 5.25%. The spread between Treasury 10s and mortgages for several years had been a predictable 1.80% but has been nudging up this year, now almost 2.00%. I’m not sure why, perhaps the Fed letting its MBS portfolio run off, or possibly nothing more than MBS front-running the Fed’s future hikes. Rate increases are crossing important thresholds. A two-percentage-point rise in mortgages has marked the onset of previous recessions, and we’re just about there. This newest move, mortgages for the moment above the October jump, is producing borrower shock. One caller today asking for financing for an investment duplex, Fannie’s minimum down payment and the least possible points, when I said “maybe six” led to a long pause and then a change of plans. When or at what point will the economy slow under Fed pressure? Now. Or maybe last summer. The Fed’s G.19 tables show the growth in credit card balances topped in Q4 2017, a 10% increase. 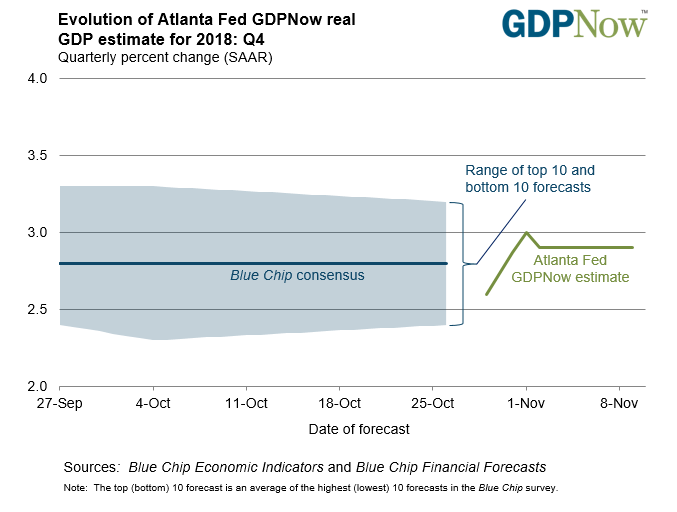 In 2018 only in one month growth above 2.9%, and in September an annualized drop of 0.4%. The Fed’s H.8. total bank credit pooped out in 2017, growing less than GDP, and now barely half of GDP, August-September 2.1% annualized. Housing of course is the most credit sensitive of all. This cycle is the most unusual in modern times in that we do not have an over-build of new housing, whose liquidation previously made all recessions deeper. Nor have we had an easing in credit terms during this long recovery — every owner has been rigorously qualified. But rate-pain is still rate-pain. New applications for purchase mortgages have fallen to a two-year low (MBA). Two cities with good, tech-centered economies: here in Denver, year-over-year sales are down 15.9% and for-sale inventory up 35%; in Seattle sales are down 18% and inventory up 102%. In both cases the big market shifts began in summer. The Fed with the best intentions always overdoes the hiking cycle. They may already have done so. Shift to big stuff, the outside world, humanity and governance. Sunday is Veterans Day, which began as Armistice Day (still is in France) marking the end of World War I at the 11th hour of the 11th day of the 11th month. In the UK, Remembrance Day — every Brit wears a red poppy in memory of the slaughter of a generation among poppies in Flanders. This 100th anniversary has been little-noted in the US, but should be, marking the first rescue of Europe by the US with no American objective in conquest except to come home in peace. No other great power had ever behaved that way, and ever is a long time. World leaders gather this weekend in Europe, and someone may say something wise. 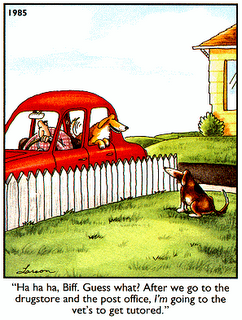 Keep a firm grip on your senses of perspective and humor. Media and politicians today struggle to account for political shifts, tossing around terms like “populism” and “nationalism.” The left and globalists decry both; the right tends to celebrate both. These issues are slippery. French President Macron this week entered the discussion, one foot planted on a bar of soap, the other on a fruit peel. The French are gifted at ambiguity, not the least embarrassed by simultaneously advocating two opposite positions. Macron this week called for a “true European army” to protect against China, Russia and “even the United States of America.” And then warned that a “nationalist leprosy” risks dragging Europe back to the 1930s. One day before, the 250,000 people of the islands of New Caledonia (upon discovery in 1774 Captain Cook thought they looked like Scotland, and may have been drinking that day) since 1853 a territory of France, voted yea or nay on independence. Macron then blared his “immense pride” that the Pacific archipelago had voted to remain part of the French Republic. One man’s dangerous nationalism is the same man’s glorious nationalism? Nations and cultures will be with us always, insuppressible and prone to conflict. We do have to live with each other, but pretending we are all the same is as foolish as belief that mine is better than yours and therefore I can make you do what I want. 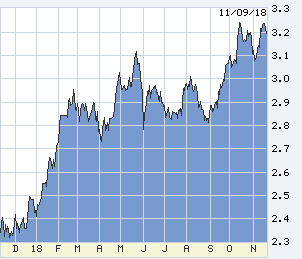 The Fed-predictive 2-year T-note reached a new high at 2.98% before sliding back a little with the stock market today. 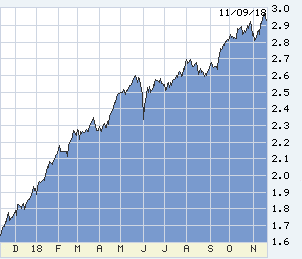 2s are fishing for the Fed’s pause level next year, and will be the first financial market to signal a cycle-top. From laughter to… The British poets of World War I left to us monuments of loss and horror beyond memory and marble. It’s okay to weep at these. The author or the second poem was killed in action on November 4, 1918.